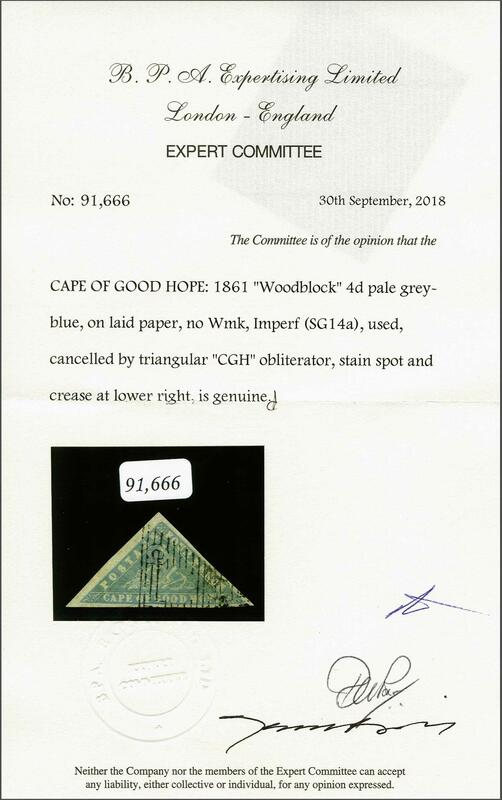 Provisional Issue 1861 (March): Woodblock 4 d. pale grey-blue on laid paper, used example with good to large margins all round, lightly cancelled by neat CGH obliterator in black. 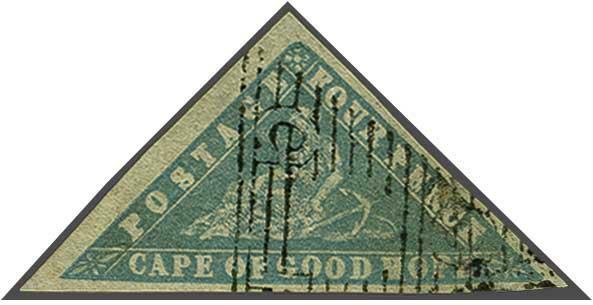 Minor stain spot and crease at lower right not dewtracting from the appearance of this scarce stamp. Cert. BPA (2018) Gi = £ 2'000.